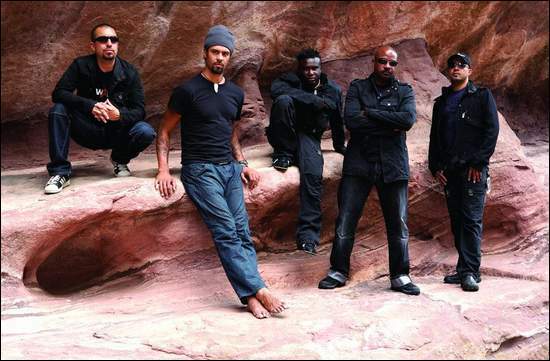 Franti is also at work on a new album; he and his band, who collectively come under the name Spearhead, spent three recent weeks recording, with plans to finish the project later this year in Jamaica. The album is shaping up to have a little less fight, and a little more focus on aiding and soothing. Even with the turn in his tone lately, it’s unlikely Franti will be throwing in the towel to his foes: the political establishment, the war in Iraq, the death penalty. On the albums “Stay Human” and “Everyone Deserves Music,” he has made direct, though lyrically memorable, stabs at the Bush administration, the radio industry, and, in the landmark 2001 concept album “Stay Human,” capital punishment. Franti doesn’t see himself as a lone voice in the lefty wilderness. His power seems to come from aligning people in his causes; witness the name of his film, “I Know I’m Not Alone.” He says the difference between the '60s, when rock singers seemed to have a potent political voice, and now is that commercial radio suppresses such activism. But on a level beneath broadcast radio is another level gaining weight. Franti acknowledged that what could be called “crisis weariness” — the building pile of war, culture clashes and environmental threats we face — can be setting in. But he suggested that maybe it’s always been that way, and that we should be grateful for the light that’s now cast on injustices from Darfur to New Orleans. “I’m grateful there are enough people who are concerned, who want to highlight this,” he said. “In the past, there were parts of the world we just didn’t notice.